Today, strategy map has an image similar to a business treasure map, a kind of a business road map that is supposed to lead any organization to imminent success. Managers like to have page-size diagrams in PowerPoint that are proudly called strategy maps. As one can imagine, those strategy maps have nothing to do with strategy execution. In this article, I will share some thoughts about what strategy maps are and how to design a good one. The term strategy map has its origin in the Balanced Scorecard (BSC) concept of the mid-1990s. 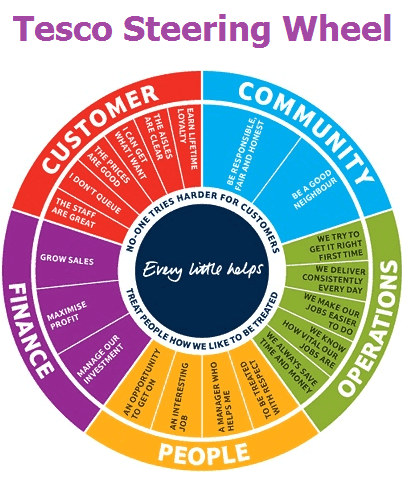 Since then, strategy map became a buzz word that often has nothing to do with the original BSC concept (take, for example, Tesco’s strategy map discussed below). Each of the perspectives contains objectives. The objectives are linked with each other by cause-and effect-connections. If you are looking for a classical version, I recommend starting with these articles. While BSC’s strategy map is a classic of strategy maps, one will rarely see those maps in a real business situations. Organizations tend to adapt strategy maps to their needs and change their content and form accordingly. Even in the Strategy-Focused Organization (Robert S. Kaplan, David P. Norton, Harvard Business School Press, 2001), examples of the strategy maps vary in their forms. The strategy map appeared as a response to the increasing complexity of the business world, where business objectives needed to be translated to the employees. 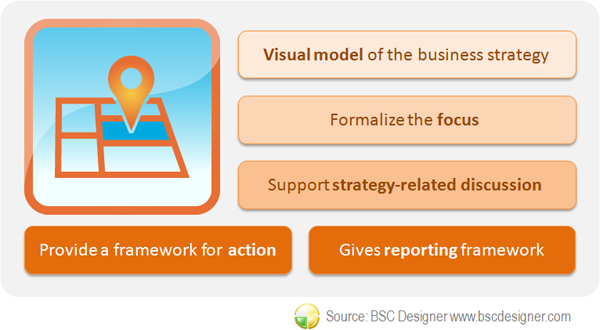 Give a visual model of the business strategy, its objectives, and priorities. Formalize the focus on certain objectives and their relationships. One needs to be focused on a small number of objectives and prioritize his efforts respectively. Provide a framework for action. Objectives on the strategy map are aligned with action plans; this helps to make a shift from doing your my job to helping the company to achieve desired outcomes. Gives reporting framework. Objectives on the strategy map need to be aligned with KPIs, specifically with leading and lagging indicators. 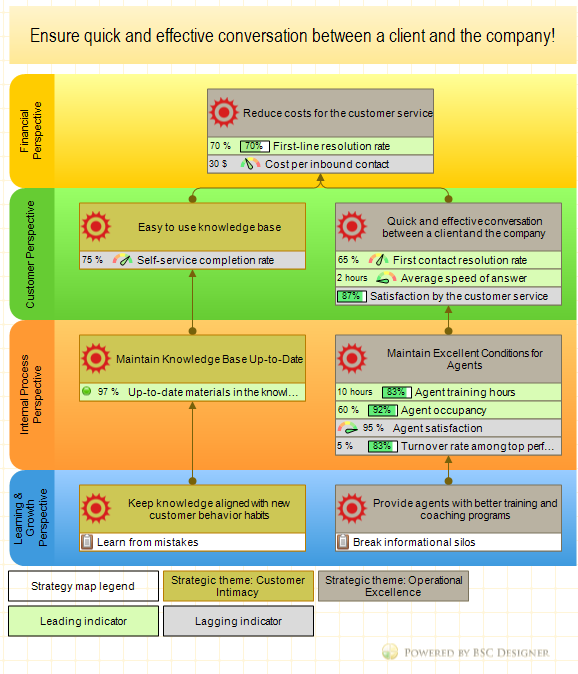 A properly cascaded strategy map provides a framework for the reporting. Here are some basic principles that you need to keep in mind when designing and using your strategy map. Strategy is about making a hypothesis about what might work to overcome current challenges. The relationship between cause (the reason for the challenge) and effect (a hypothesis that you are going to try) is critical. 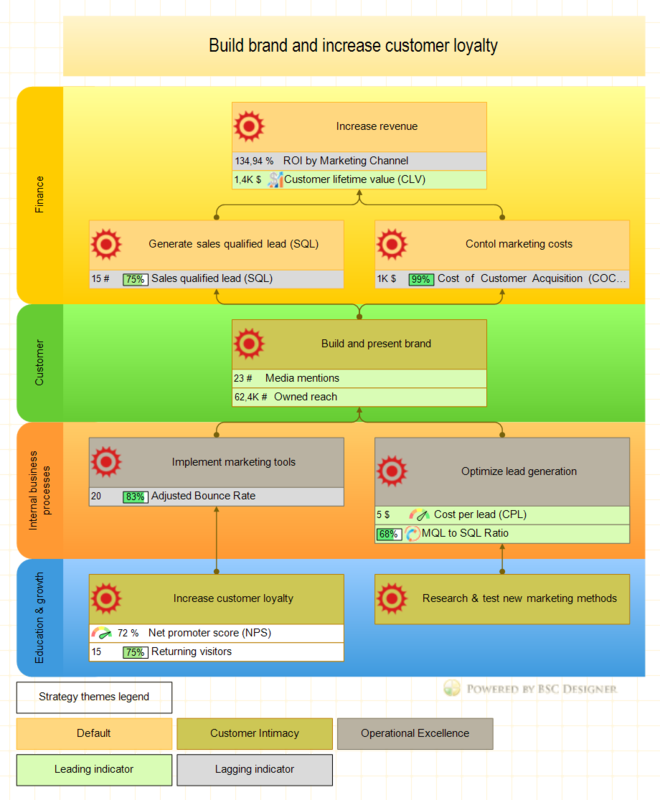 Make sure you show this cause-and-effect connection on your strategy map by linking two objectives with an arrow or mentioning the logic in the strategy description document. 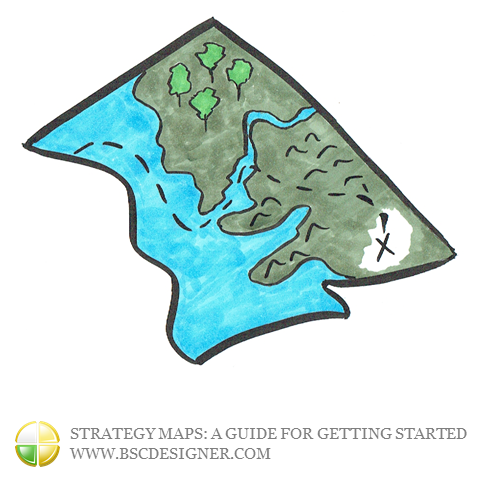 The ultimate goal of the strategy map exercise is to help a company with strategy execution. Objectives on the strategy map need to be aligned with an action plan. Are all objectives always aligned with an action plan? Let’s be realistic; the answer is no. There might be some generic objectives that are not supported by any specific initiatives (and action plans) yet. These objectives (better described as goals) represent a strategic hypothesis that you need to research and formulate in the future. For example, you might have the goal of increasing customer engagement, but you might need more information to make an educated guess about how exactly you can do that. Later, you might formalize on the department-level strategy map such objective as “update website to be more user engaging” that will support the goal of increasing customer engagement goal. Or during an analysis, you might find out that customer engagement is not a problem at all, and you need to invest your time in sales! There is a mainstream thinking that everything needs to be measured. That’s not always the case for the strategy map. In an ideal world, each business objective on the strategy map is aligned with leading and lagging indicators. Lagging indicators tell us the history (like customer engagement index), and ). In the real world, we often formulate a strategic hypothesis in the form of business objective. We achieve it, do some reverse analysis and only then understand how it was possible to track that we were following the right way to where we are now. Unfortunately, it doesn’t mean that the success of the next project can be measured according to the same metrics. We need to have a proper culture regarding KPIs (like staying calm when the indicator is in the red zone and staying focused on an objective, even if an indicator is in the green zone). Ready to start with your own strategy map? Here are some control questions to make sure you are on the right track. Do I have a strategy map on a single slide in PowerPoint? 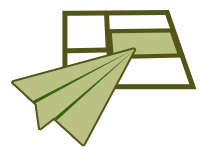 Your strategy map is a single slide in a presentation software, like PowerPoint. It is a good beginning of the strategy process, but for now, it is just some basic map that needs to be developed further. Now your map cannot be used by business units and individuals; it needs to be explained to them. In the BSC, the process is called cascading. A good strategy map will be accompanied by a 2- to 3-page document that explains in the details strategic approach and hypothesis that one want to try with this strategy. Does it look like a list of things to do? The most important difference between a to-do list and a strategy map is not in the visual representation. You should not overload your map with the details. For example, if you have on the top level of the strategy map something like “Update website with responsive theme,” then probably, you have converted your strategy map into a list of tasks. 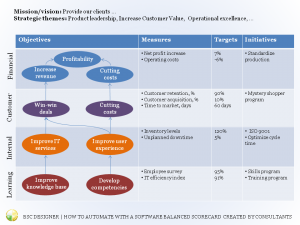 Still this objective might be relevant to the strategy map of the webmaster, who is planning a response to the “Service excellence” objective from the top-level scorecard. Check out “A Long List of Goals vs. a Strategy” article to learn the most important difference between to-do list and strategy map. How does this help to achieve desired financial outcomes? The idea of the cause-and-effect connection is not just about drawing arrows. The idea is that you are able to explain how executing a certain strategy (achieving a certain goal) is supposed to lead you to the desired financial results. You need to be able to explain this with your strategy map. That applies to non-profits, too. Need more questions? Check out the typical pitfalls of the BSC concept. Are there any objects without links? Have a look at your strategy map. Are there any objects that are not linked to other items? On the prototype stage, the difference might be not that visible. Both suggest excellent visual means to formalize your ideas. When it comes to the real usage, the difference is important. A drawing tool is still a drawing tool, while strategy execution tools are able to align your maps with real data (KPIs and initiatives) and help with reporting. 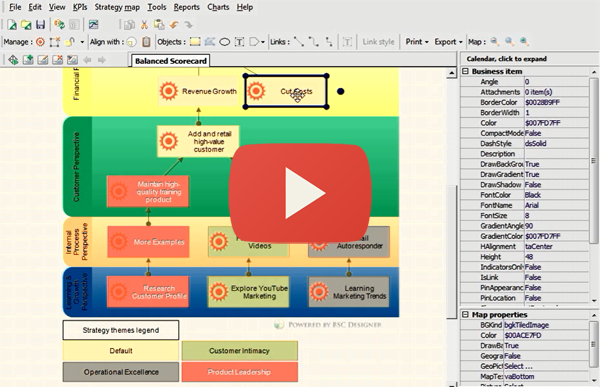 Here is explained how a strategy map can be created in our BSC Designer step-by-step. I’m including some examples of the strategy map here. To be clear, in most cases, these are just front-page strategy maps that in real organizations are supported by more detailed maps for the business units and are further explained in strategic documentation. 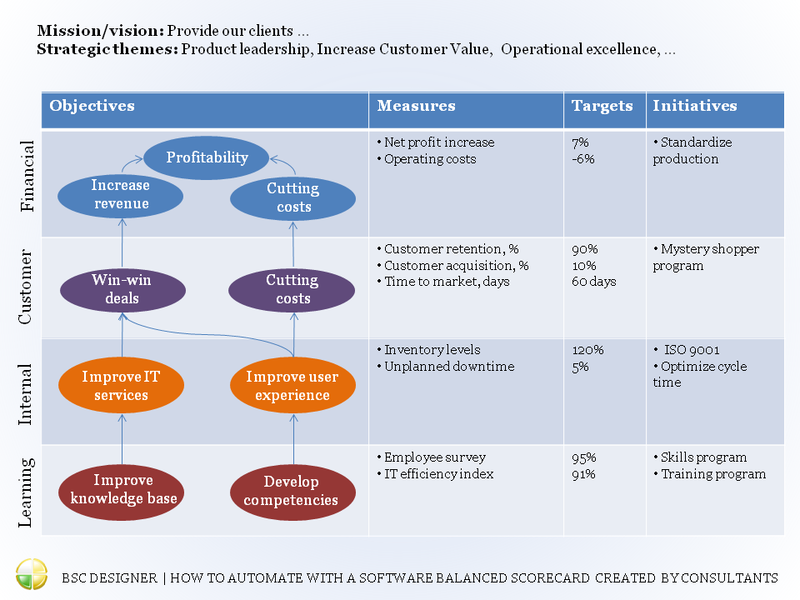 More examples of the strategy maps, scorecards, and KPIs. You might also find some useful case studies about the use of strategy maps by BSC Designer customers. It is advisable to align objectives with measures (leading and lagging ones) and with action plans. Do you have an example of an interesting strategy map? Feel free to comment and share!